Imagine a home nestled on a cul-de-sac in an established neighborhood 10 minutes from town yet no city taxes! This beautiful 4 Bedroom, 2.5 Bath home offers an oversized double car garage on a level half acre lot. On the first level you will find hardwood floors through out, a spacious family room featuring a gas fireplace, and a formal dining room which opens to the kitchen. The updated kitchen features granite counter tops a moblie island and tons of cabinet space! The sunroom offers built-ins and overlooks the large private backyard. On the back deck there is room for entertaining. The mud room offers builtins including a bench and storage areas. Upstairs you will find the largeOwner's suite with private bathroom and walk in closet. The guest bedrooms feature walk in closets. The HVAC is only 6 years old. USDA 100% financing available! 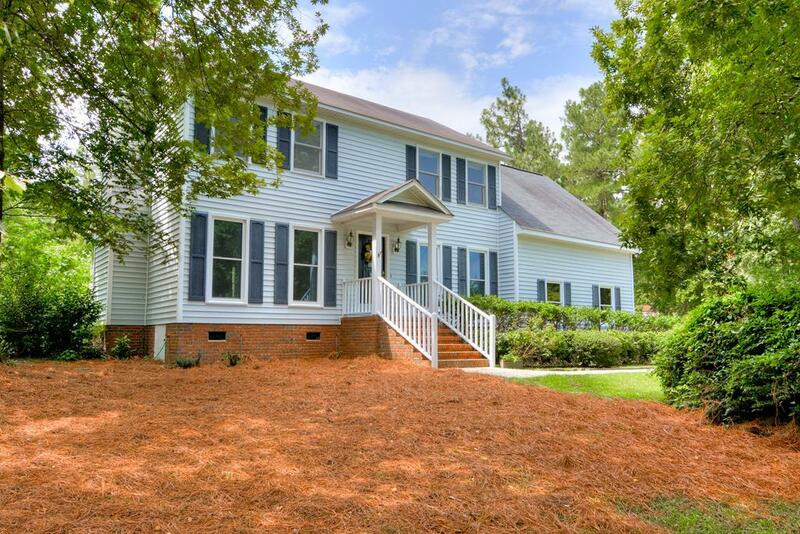 Listing provided courtesy of Erica Gilmer Cook of Keller Williams Augusta Partners.